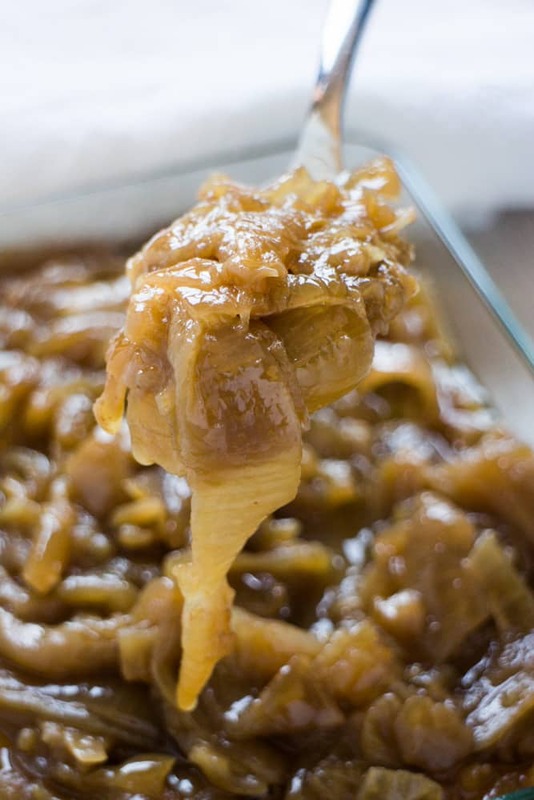 DELICIOUS Slow Cooker Caramelized Onions that are easy to make in your Crockpot! This 4 ingredient recipe is the best and will have melt in your mouth onions ready for your favorite dish in 5 hours! Serve them with soups, casseroles, grilled cheese sandwiches, salads, chicken, pasta, burgers, pizza and more – seriously, you can add them to almost anything! 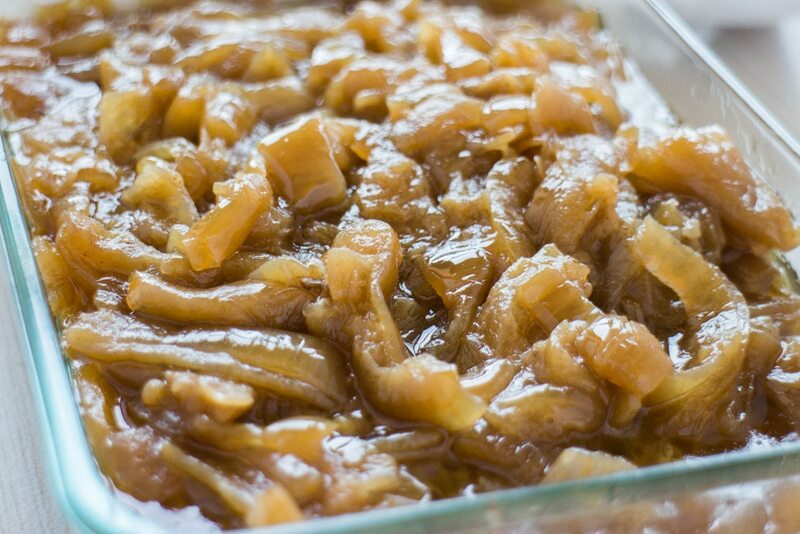 These Slow Cooker Caramelized Onions came at a perfect time since we just planted our onion seeds for Spring, and I was able to use the remaining 3 pounds of last years onions for this recipe. It’s always magical when the timing works out perfect and you can go from harvest to seed without much waiting in between. These Slow Cooker Caramelized Onions are what dreams are made out of. By slow cooking them we’re bringing out the natural sweetness of the onions as the sugar caramelizes. What starts as a full crockpot of onions is going to turn into a much smaller amount as they melt down. 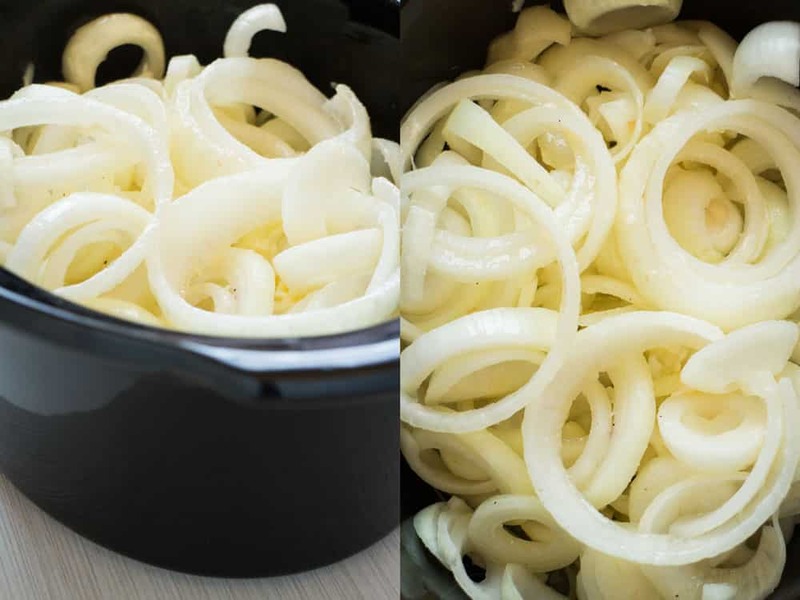 What you’re left with (besides an amazing smelling house that is going to make your neighbors jealous) is savory, sweet onions that are ready for you to add anywhere – soups, casseroles, sandwiches, salads, pasta, pizza – seriously, you can add them to anything! My husband came home and he started to immediately swoon upon the first smell of these sweet onions. On the first bite, his knees buckled and I had to catch him! The man loves his onions. This recipe will be for sure one that will stick around with us for years to come after we pick our garden onions. I hope you give it a taste – I think you’ll be really happy you did! This recipe calls for 3 pounds of sliced onions. I use my 6 quart Slow Cooker and the onions take up about 75% of the space when they begin. Peeling and slicing 3 pounds of onions is tough business so if you have sensitive eyes like me I suggest wearing sunglasses while doing this. Not only do I love the results of this recipe but I love how easy it is to make too! 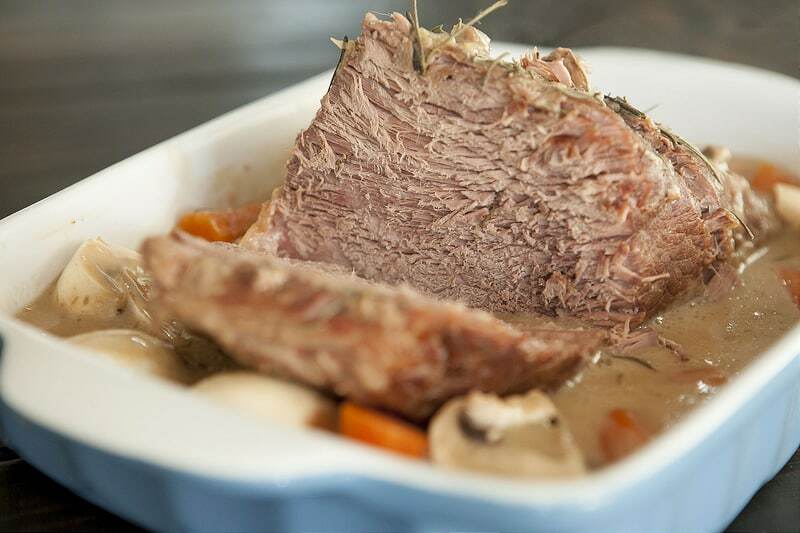 The slow cooker does all the work for you. In about 5 hours you’ll have beautiful, delicious Caramelized Onions! 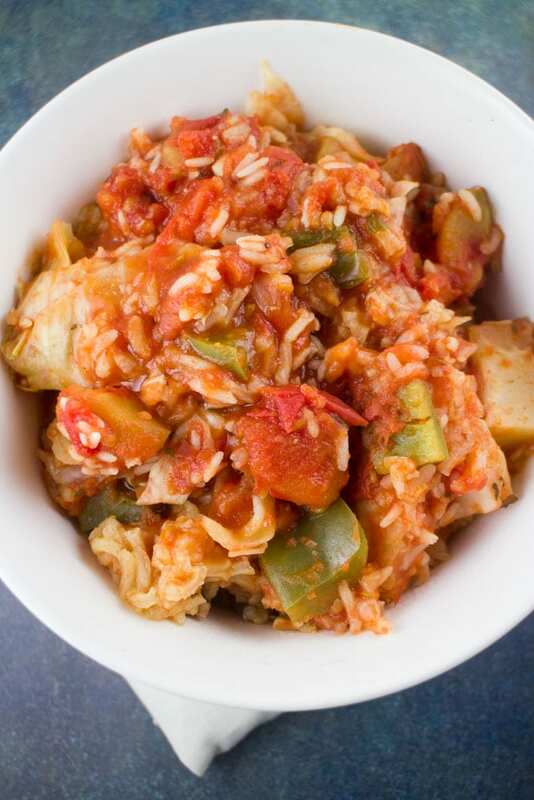 Grab a spoonful and add to your favorite dish – I can guarantee the onions will make it better! Yes! I freeze these onions all the time! I keep a small mason jar of these onions in the fridge for quick access but I also fill up a Ball silicone tray or WeeSprout container with them to freeze for later. Since these are so good I’ll be tripling this recipe next time! Hope you enjoy these Slow Cooker Caramelized Onions! How many cups of onions does this make once the onions melt down? Yes! 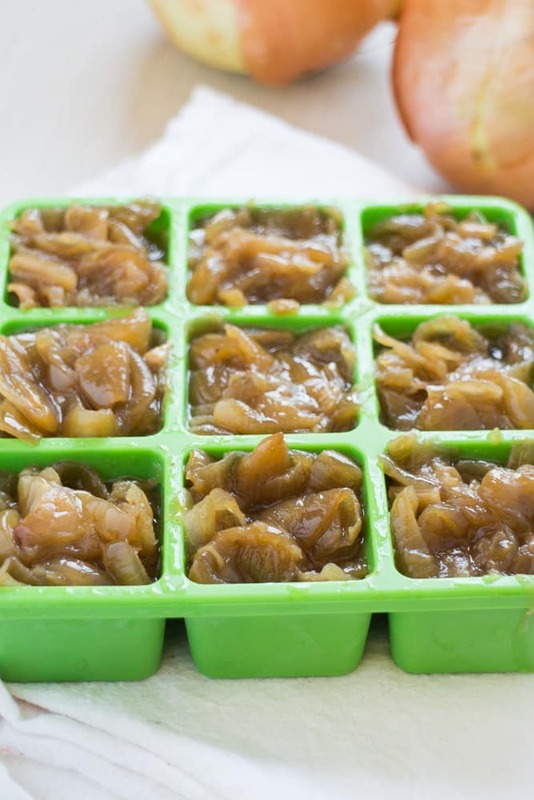 Caramelized Onions freezes amazing! I use my Ball silicone trays or WeeSprout containers to freeze them – this makes it easy to pop one or two cubes out at a time. Alternatively, you could freeze in ice cube trays. Just make sure to pop them out of the ice cube trays if they don’t have lids once frozen and transfer to freezer safe bag. What can I use Caramelized Onions in? Soups, casseroles, grilled cheese sandwiches, salads, meats, pasta, pizza and more – seriously, you can add them to almost anything! What type of onion do you grow in your garden? We grow a variety called “Candy” which can produce giant onions – sometimes they’re 2 pounds! 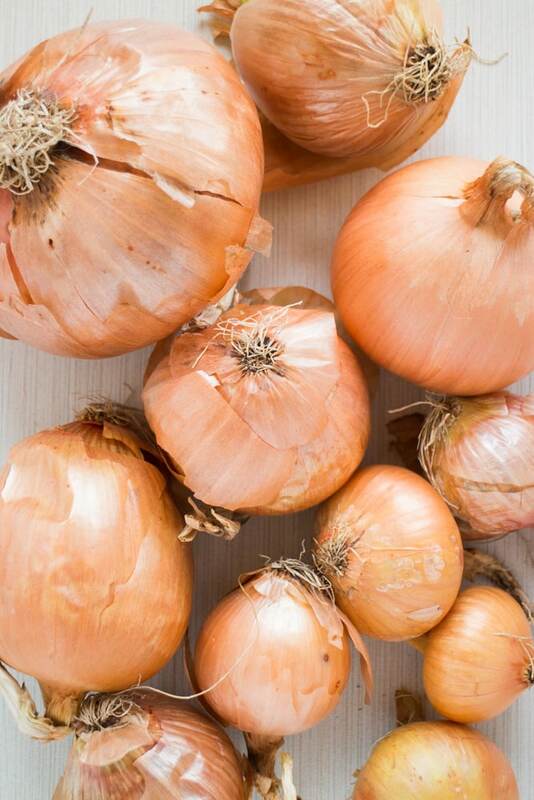 How do you store onions to make them last longer? Use pantyhose or these bags (I recommend them in size XL) – ours keep for about 8 months this way. 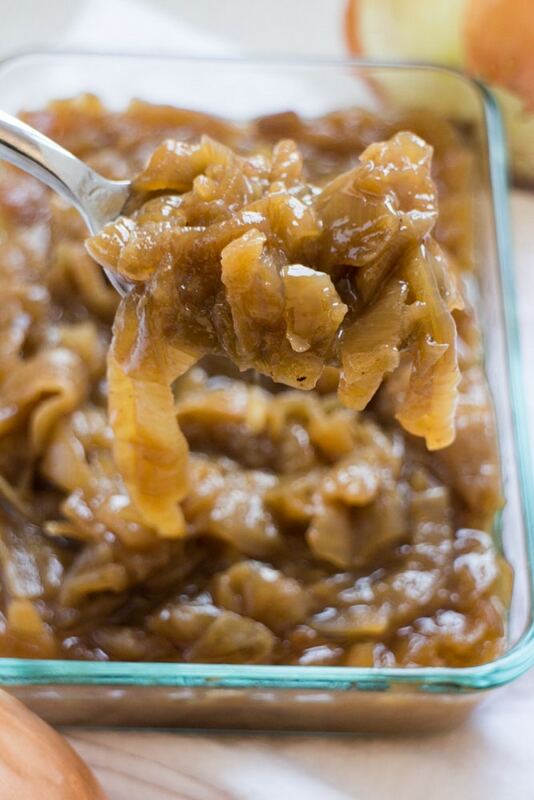 DELICIOUS Slow Cooker Caramelized Onions that are easy to make in your Crockpot! This 4 ingredient recipe is the best and will have melt in your mouth onions ready for your favorite dish in 5 hours! Serve them with soups, casseroles, sandwiches, salads, chicken, pasta, burgers, pizza and more - seriously, you can add them to almost anything! 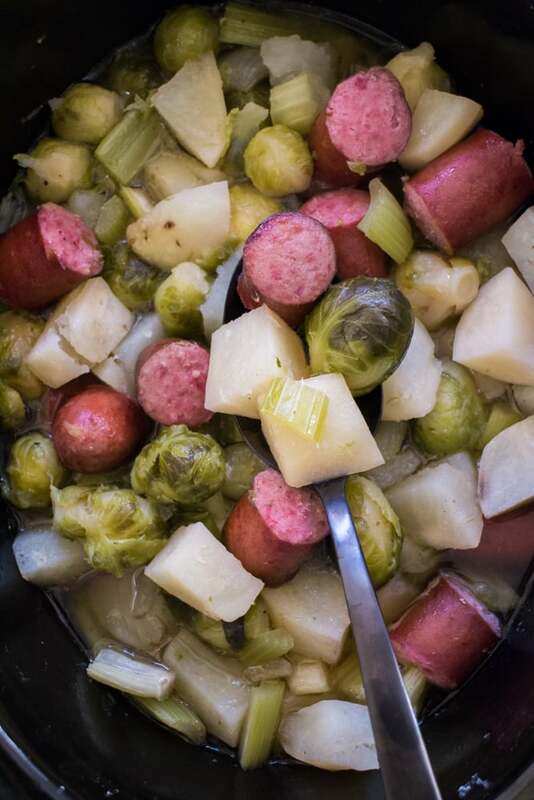 Add everything into a large crockpot and stir so the butter coats the onions completely. Cook on high for 5-6 hours or until they are soft and caramelized. Serve with your favorite dish or freeze for later. 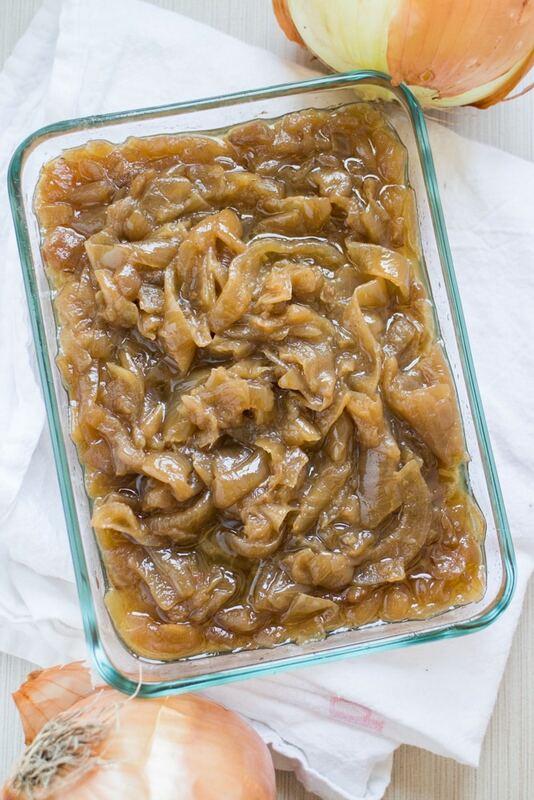 Didn’t even know that you can make caramelized onions in slow cooker…so cool! Definitely give this a try. This is a terrific idea! It would be perfect for making all the onions for French onion soup ahead of time. 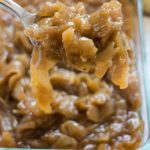 Caramelized onions in a slow cooker for real? This sounds like a genius idea. Would love to try this recipe. I have a serious obsession with caramelized onions. Like, I will make VATS of the stuff, because i want to be able to eat it by serving spoon full and still have enough left over to use it in actual dishes. But, I’ve never tried making it in the slow cooker! For some reason I didn’t think it would turn out well, but obviously it does because yours looks amazing!!! SOOOO DOING THIS! Cheers, girl! This is genius! You have changed the way I will caramelize my onions forever! OMG ,these look insanely good! Just wow.